Did you know an hour of roller skating can burn up to 600 calories? 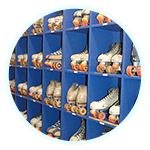 Roller Skating is a Family Tradition for over 100 years and is a Party on Wheels. Come join us at Skate Galaxy for some family fun time! Only Unlimited Laser tag in town! 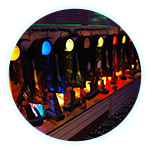 Tuesday, Thursday and Friday nights Unlimited Laser Tag for only $17.00! Add $3 for skate rental or bring your own skates and skate too! 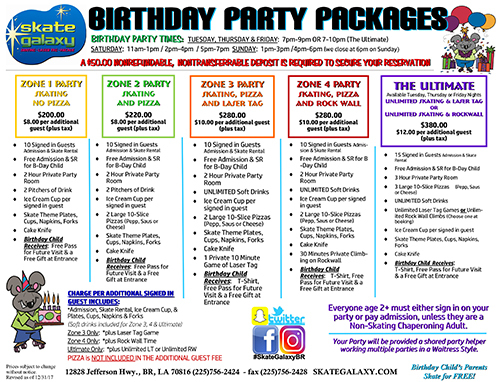 Skate Galaxy offers Birthday, Group and Private Parties! 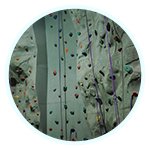 We have eight party rooms decorated with the coolest designs and 5 Skate Galaxy Party Packages to choose from. We also have a balcony VIP area for those special event parties.